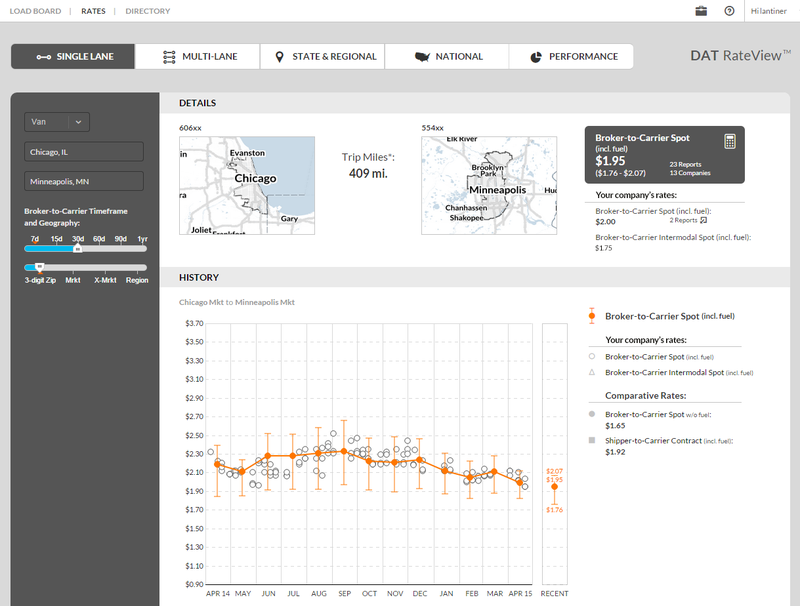 When route planning, you want the best pricing information you can find. DAT RateView™ gives you the latest rate information for thousands of contract and/or spot market lane rates, based on actual freight bills, not bids or factored rates. Broker-to-carrier spot market freight rates are compiled from $57 billion in actual transactions. True broker-buy rates are updated daily. Shipper-to-carrier contract rates are averages by lane. RateView automatically suggest routes for triangle (TriHaul), backhaul and deadhead.